The item Hank Ketcham's complete Dennis the Menace, 1957-1958, [editor, Gary Groth], (ebook) represents a specific, individual, material embodiment of a distinct intellectual or artistic creation found in Charlotte Mecklenburg Library. "Hey, Mr. Wi-i-i-i-i-lllson! 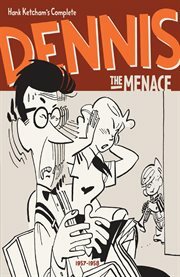 "?the Menace is back in this fourth volume in the Complete Dennis the Menace!